A group of Russian scientists and businessmen have come up with a unique eco-friendly technology that extracts amorphous silica from rice husks. 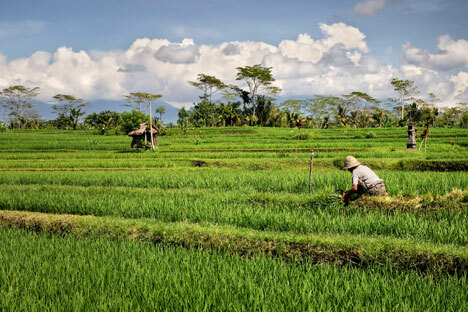 “It took us almost three years, several scientists and seed capital from the Russian Venture Company to create a unique green chemistry technology that will allow us to significantly cut hazardous emissions from burning rice husks and contribute to the minimization of the greenhouse effect,” said Komarov, a managing partner at Risilica. Tech startups now dominate a venture market. However, more and more investors seem to be surfeited with IT projects and they are looking for new ventures. In this regard, eco-startups including green chemistry projects seem to be the most promising ones. Risilica has already gained international attention while being the only Russian company that took part at the APEC Accelerator Network Summit held in Taipei in October. Moreover, the International Rice Research Institute has expressed interest in carrying out joint research on amorphous silica.